Financial security means different things to different people. To some, it may mean having enough money to cover all your bills, save for retirement and then have some left over. To others, it may mean earning a six- or seven-figure income, maintaining a robust investment portfolio and owning several real estate properties. Regardless of your interpretation of what it means to be financially secure, it’s likely on your long-term list of financial goals to achieve financial security. To put it simply, financial security means having enough money to fund your lifestyle, as well as work toward your financial goals. While financial security can be very tied to the numbers how much you earn, how much you spend and how much you have saved it also takes into account how you feel about your financial situation. Do you feel secure in your earning power and confident that you’ll be able to cover any unexpected expenses? Would your emergency fund float you for six months to a year should you lose your job or become too ill to work? According to the Federal Reserve Bank of New York, household debt in America totaled $13.54 trillion in the fourth quarter of 2018. While debt may be the new “normal,” it’s a major obstacle in achieving financial security. Here’s why: If you have debt, especially high-interest credit card debt, you’re likely paying upwards of 16% APR each month. A few exceptions to the no-debt rule can include mortgages, which experts generally agree to be a good investment, and student loans. While ballooning student loan debt is another financial concern, investing in your education can actually have the opposite effect, since it can boost your earning power in the future. To achieve financial security, start by setting up an emergency fund. 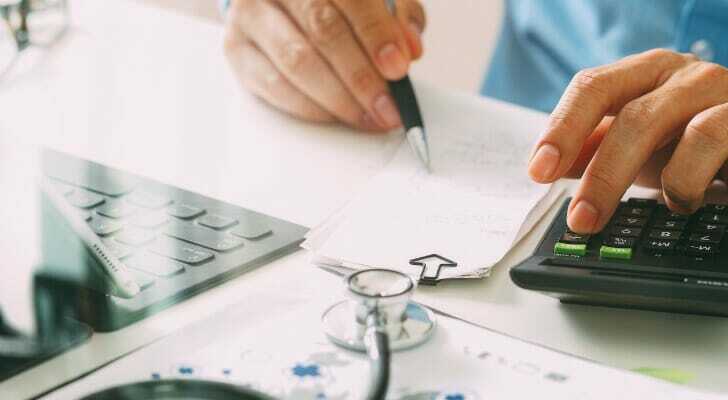 Experts suggest tucking away at least enough cash to cover all your bills, living expenses and debt payments for at least six months, or even up to a year. Not quite there yet? Start with three months’ living expenses and go from there. If you’re still not convinced you need one, know that there are a number of reasons to have an emergency fund. By having money stashed aside, you’ll be able to avoid getting into credit card debt, better maintain your house and reduce stress. Plus, if you ever decide to leave your job, you’ll have the financial means to take some time off in between jobs. 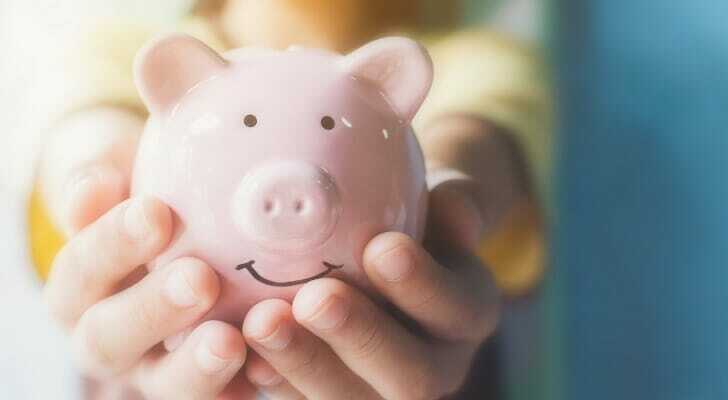 To achieve financial security, make saving for retirement a priority and start early. If you have an employer-funded account, like a 401(k) or a 403(b), set up regular contributions as soon as possible. Don’t put it off because you’re in your 20s. The earlier you start saving for retirement, the less you’ll have to put away, thanks to compound interest. If you don’t have a workplace retirement plan, there’s no reason to skip saving. You can open a traditional IRA or Roth IRA on your own. However, contribution limits for these retirement plans are much lower than they are for 401(k) plans. A good rule of thumb is to save 15% of your pre-tax earnings for retirement, but keep in mind that’s only a benchmark. Everyone’s financial situation is different. If your company offers an employer match, though, make sure you’re at least contributing enough to get it. After all, it’s free money. You’ll never be able to achieve financial security if you have a mountain of debt hanging over your head. You know that Americans are now holding record levels of debt. But that doesn’t have to be you and it can’t be if you want to be financially healthy. If you have debt, come up with a debt payoff plan. You can do this on your own or with the help of a financial advisor. 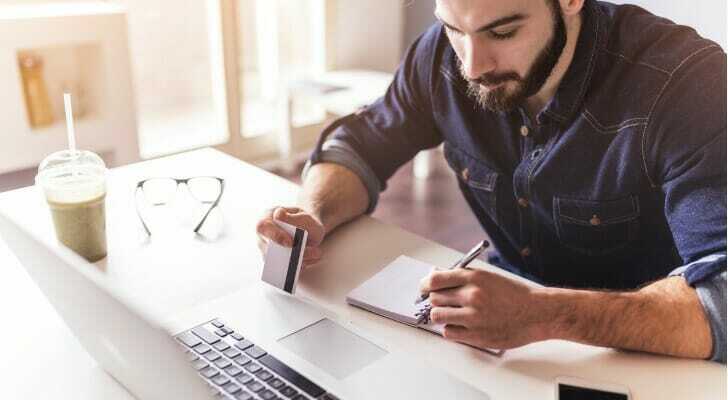 There are many different types of debt payoff strategies you can explore for your situation, from the snowball method to the avalanche method to debt settlements or credit card balance transfers. Once you’ve determined your strategy, get to work on paying off your debt. Don’t skip a month. While you’re paying off your debt, stop using your credit cards or accruing more debt. Living frugally is a cornerstone of financial security. This can be difficult to do, whether you’re a high earner or living paycheck-to-paycheck. But no matter how much you earn, you should create and follow a monthly budget. Limit your discretionary spending and save more than you spend. Following these simple financial practices will lay the groundwork for financial security in the future. Whether it’s seeking out a higher-paying job, considering a move to a less expensive area or going back to school to further your education, there are several ways to boost your earning power. Moving to a less expensive area is a viable option if you’re working to improve your financial situation and you just can’t seem to get ahead. You may live in an area that’s simply too expensive, making it nearly impossible to get to a good spot financially. Or perhaps boosting your income is a better option. Going back to school is also an excellent way to increase your earning power. You’ll want to be sure you’ll have the means to pay off any student loan debt though. If you’ve paid off debt, maxed out your earning power and are successfully living on a budget, you may be looking for other ways to build wealth. This is where passive income comes in. Passive income is defined as earnings you make without your active involvement. You can earn passive income through rent payments on a rental property you own, the profits from an e-book you authored or even affiliate links on a blog you manage. Either way, passive income can be a great way to achieve financial security. Drawing up a will likely isn’t at the top of your list of fun things to do, but it’s important. A will ensures that your estate — including your property, assets and any valuable family heirlooms — are properly distributed after your death. A will or estate plan also ensures that your dependents and family members are taken care of financially when you’re gone. Additionally, if you have children under age 18, a will is absolutely imperative, as it sets up legal guardianship for your children in the event of your death. Financial security is a tricky term, but generally it just means being able to live the lifestyle you want. Being able to maintain that lifestyle in the event of an unforeseen hardship is also key. There are a number of steps you can take to achieve financial security. It isn’t always easy, but with the right moves you can become financially secure. A financial advisor can help you achieve financial security. Find one with SmartAsset’s free financial advisor matching service. Answer a few questions and we match you with up to three advisors in your area. We fully vet our advisors, and they are free of disclosures. You talk to each advisor, ask questions and make a choice about how to move forward. Knowing how much money you’ll need to retire is key to financial security. Find out with our free retirement calculator. The post What Is Financial Security, and How Do You Get It? appeared first on SmartAsset Blog.